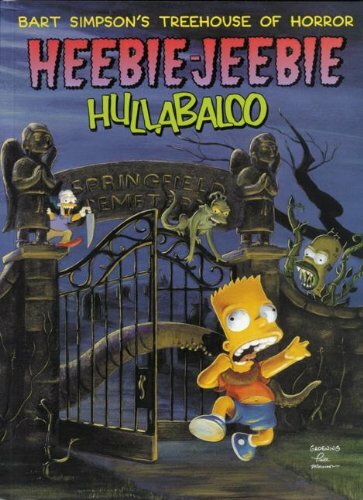 Bart Simpson's Treehouse of Horror: Heebie-Jeebie Hullabaloo is a comic reprint of Bart Simpson's Treehouse of Horror, first released on the 8th of September, 1999. It collects issues 1-3. A Kid's Guide to Monster-Proofing Your Room! Halloween Hoedown at the Flanderosa! Modified on February 9, 2018, at 17:48.